Here is a picture of my first ever attempt at making a quilt, I made it for my little nephew who was Christened on Sunday. The backing fabric is from the Moda Oh Deer range also available from Trixie Lixie and the bias binding is a new product that we are stocking and will be available as soon as I get a chance to put it on to the website! 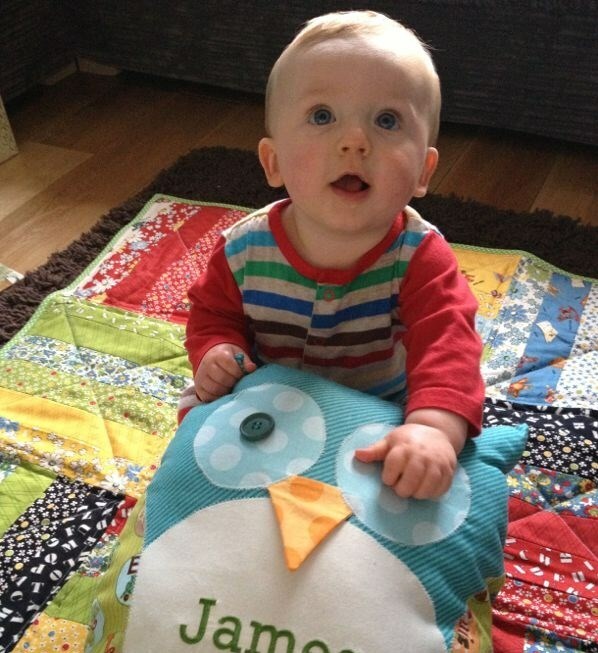 Here is the gorgeous James on his new quilt! Thank you, it was worth all the effort in the end and he loves it!